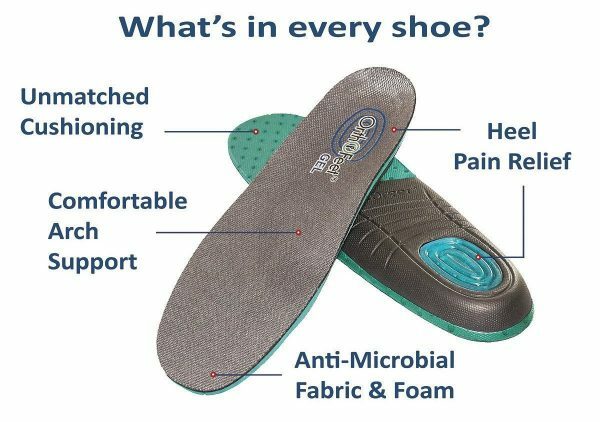 Comfort Fit – Stretchable design offers a relaxed fit at the forefoot, and helps relief pressure on Bunions, Hammer-Toes and sensitive feet. 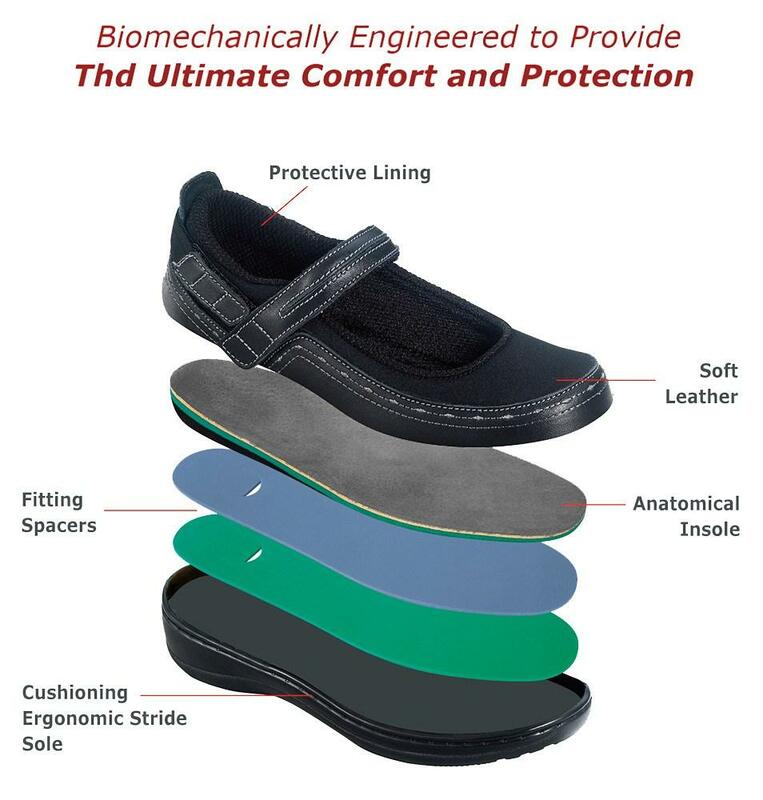 Orthotic support – contoured orthotic insole, with anatomical arch support and gel padded heel-seat, helps alleviate foot pain, and enhances comfort from heel to toe. 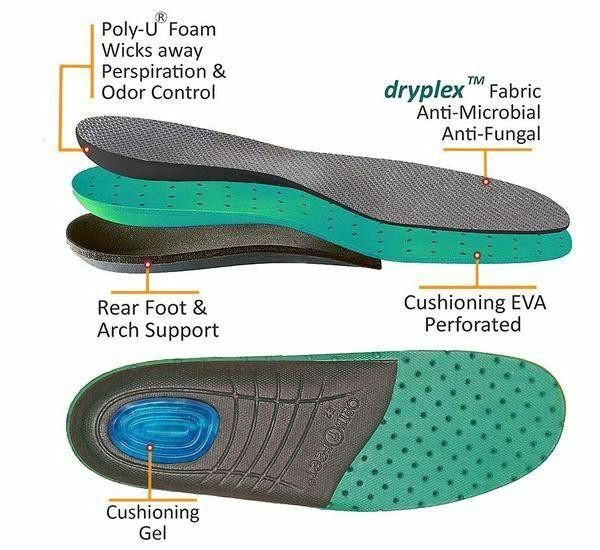 Protective Interior – Soft, seam-free lining design with extra foam padding eliminates pressure points, and helps reduce friction against skin. 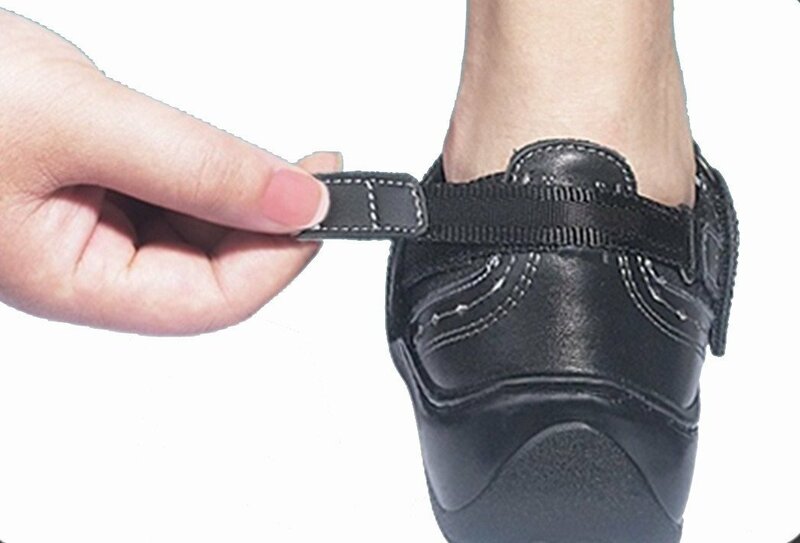 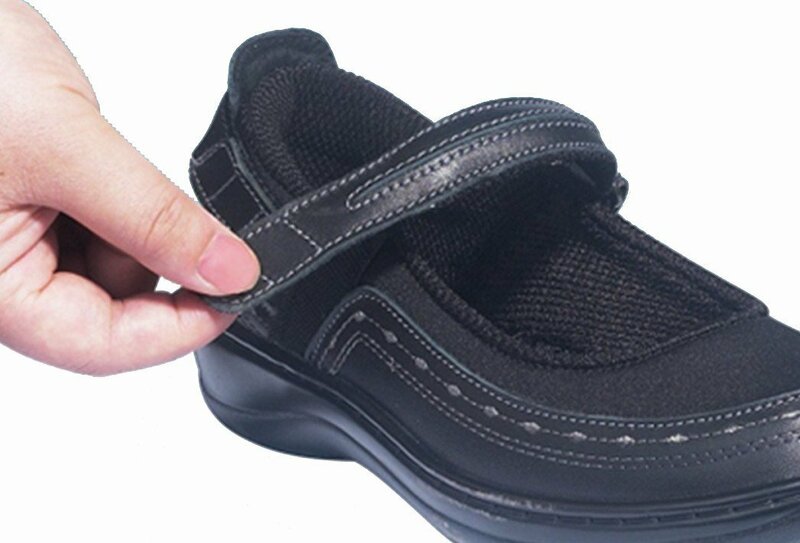 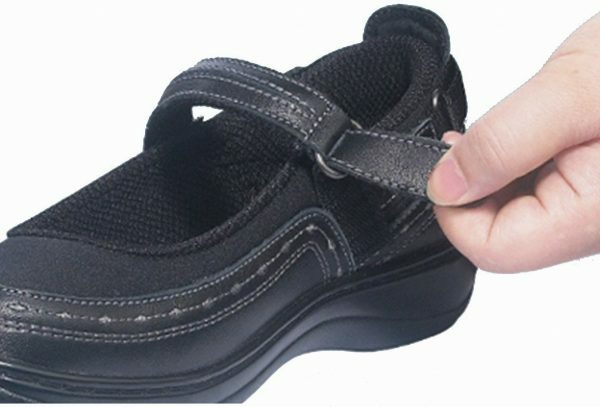 Customized fit – Two-Way padded strap enables fastening on either side of the shoe, and an additional heel strap allows the adjustment of the grip around the heel for a precise fit. 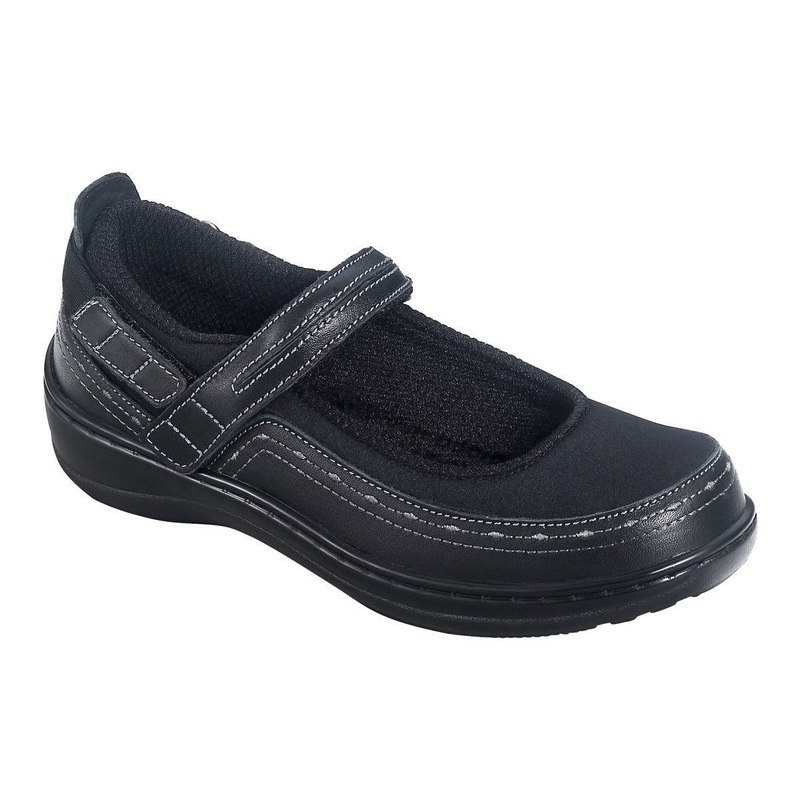 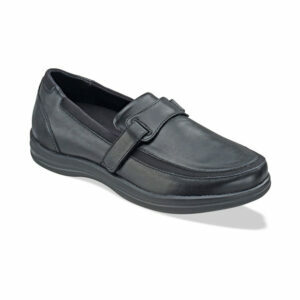 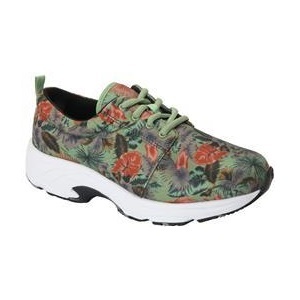 Easy gait – Light-weight cushioning sole with Ergonomic-Stride(TM) design softens step, and helps propel foot forward.